Does the way that we think of natural resources encourage mismanagement and even corruption? Publish What You Pay’s (PWYP) newest member in India, the Goa Foundation, puts forward the idea that a significant step can be taken towards addressing the resource curse by seeing mineral wealth as a shared inheritance, to be held in trust for future generations. They propose that royalties should essentially be seen as compensation for the sale of our shared inheritance. Moving away from the conventional view that royalties as revenue, the Goa Foundation has defined some clear campaigning principles. We spoke with Rahul Basu, Research Director at the Goa Foundation, to find out how this idea could inform advocacy for sustainable mineral wealth management. PWYP: What is Goa Foundation’s approach to mineral wealth management? The Public Trust Doctrine or the principle that we, the people, have shared ownership of our natural resources and the state is merely a trustee of natural resources for the people and especially for future generations. The Intergenerational Equity Principle, or the idea that since our minerals are inherited, we are simply custodians who must pass the inheritance to future generations. This principle is practiced all the time by traditionally wealthy families. Consider the example of inherited family gold. If the family decide to keep the gold as it is, they ensure the gold remains to be passed onto future generations. However they must safeguard it against theft, which is both a headache and a cost, while the gold produces no income. Alternatively, if they decide to sell the gold and invest the proceeds in say land for example, they and their future generations can benefit from the income of the land as long as it is well maintained. The crucial point is that if the gold were to be lost or the investments mismanaged, the loss of capital would be permanent for all future generations. We must get our money’s worth. If we mine and sell our mineral resources, we must make sure that there is zero loss as any loss is a loss to all of us and our future generations. Permanent funds or Future Generations Funds are key and a part of the shared ownership agreement. As is already implemented by countries such as Botswana and Norway, we advocate for all the money received from our minerals to be saved in a Permanent Fund. Like the minerals, the fund should be owned by the state and kept in a trust for the people and especially future generations. Any real income (after inflation) from that Permanent Fund should only be distributed to all as a right of ownership, as a commons dividend (as in the case of Alaska). These 5 key principles mean our approach protects the property rights of the people, is ethical, moral, fair, just and right, and would also mitigate many of the issues which lead to the resource curse. PWYP: What is the pitfall of thinking of minerals as a source of revenue? Rahul Basu: minerals, as a concentrated source of common wealth, attract “rent seekers”, people whose main aim is to capture the financial value of minerals. Rent seekers include mining companies, politicians, local governments, government officials, police, local strongmen, lobbies, civil society, etc., who compete for the money received from selling our minerals. Consideration for the loss of capital for future generations often comes as an afterthought, if at all. Wealth also tends to be unfairly redistributed between the people and rent seekers which means both the current and future generations lose out on their mineral wealth. The shared inheritance approach addresses this issue of loss of mineral wealth, by keeping preservation of capital at the centre of mineral wealth management. PWYP: Could you elaborate more on the idea of mineral wealth loss? Rahul Basu: mineral wealth losses occur at many points. The IMF estimates a minimum loss of 15% of the mineral value (after all extraction costs and a profit) in the case of oil, and 35% in the case of minerals. In India, we found that losses exceed 75% for coal and iron ore. This essentially means we are selling something worth 100 for 25. The very nature of extractive companies means that they have a higher incentive to extract quickly and then leave, making as much profit as possible in the meantime. People on the ground and the environment are often seen as obstacles standing between them and great wealth. This inevitably creates an environment in which corruption can thrive. Even the compensation for the minerals extracted, such as the 25% received in the case of India’s coal and iron ore, are often wasted. Significant portions of the money generated from selling minerals are diverted to arms purchases and lining the pockets of ruling politicians. Of the rest, often substantial sums are consumed, not invested. Even when they are invested in real assets, there are numerous issues with corruption, patronage and poor project selection. The current approach to mineral wealth management steals from both the current and future generations by leaving little, if anything, for them. The zero loss target puts pressure on crony capitalism. None of the money generated from the exploitation of our collective wealth is allocated to the government. This means that if good things are needed, the politicians must justify the required taxes to the people. By keeping the royalties received part of the shared wealth, we have made everyone an equal stakeholder, with a moral obligation to ensure that no losses take place. PWYP: How do you think this can be addressed on a global level? Rahul Basu: as civil society, we must stop perpetuating the idea that money received for our minerals is a disposable source of income. We must systematically communicate the idea that mineral royalties are simply a compensation for the sale of our “family gold” and as such we must either preserve them or reinvest them wisely. In treating mineral extraction as one might treat the sale of family gold, we will encourage people to start asking (a) do we need to sell our family gold, (b) is this the right time to sell, (c) are we getting the full value or are we making a loss, and (d) are we saving the money in a ‘non-wasting asset’ for our future generations? Civil Society must also campaign to stop treating our mineral wealth as revenue for calculating the government’s budget deficits. This accounting error allows politicians to wrongly argue that more extraction leads to more revenue. Politically directed spending then gains public support for their approach of extracting more till there is no more. Using the example of Goa, we can see the potential for change in the way mineral wealth is managed if the approach to accounting were different. Over an 8 year study period, mining was considered an important part of Goa’s economy. Mining constituted 8% of reported government revenues and 15% of the economy (GDP). The reported budget deficit was 2.46% of GDP. Politicians argued for more extraction. If we treat mineral receipts as we would the sale of family gold (not revenue), then the budget deficit rises to a concerning 3.73%. If we also treat the losses incurred as expenses, then the deficit balloons to 41.47% of GDP. This is the true deficit. Such a large government deficit is unsustainable and politically untenable. This would make mining an important issue for everyone, not just communities impacted by mining. And, as such, this would lead to more people asking questions such as those listed above. PWYP: What is your message to the PWYP community? Rahul Basu: If this way of thinking were to become the norm globally, it could change everything. As a member of the PWYP movement, Goa Foundation calls on fellow PWYP members to stop calling royalty “revenue” or “income” or “tax”, to campaign to treat minerals as a shared inheritance, and to push for change in government accounting. The Future We Need, an all India campaign to introduce our principles in India’s National Mineral Policy. Goa Foundation’s representation, the sign-on demand letter from civil society. 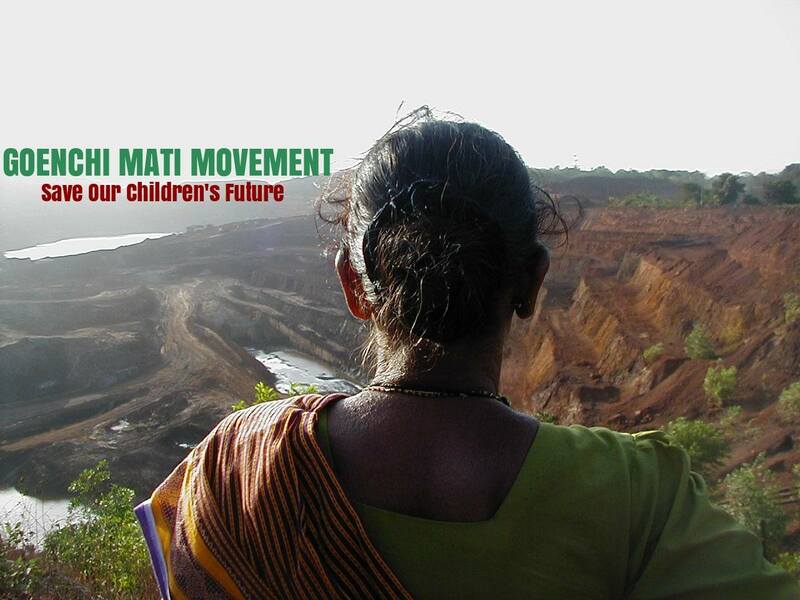 Goenchi Mati Movement, our campaign in Goa, India, to implement our ideas. Our manifesto, which was supported by 4 political parties during our elections earlier this year. The impact of revenue accounting and metaphor – note to IMF, and responses to FAQs. Integrating environment and mineral economics in the context of Intergenerational Equity in Goa. Two papers examining whether Intergenerational Equity has been implemented in Goa, and the implications of the findings. The first uses World Bank data, the other uses audited financial statements of extractive companies.